Now that I have my own business, I don’t have a long journey to work. However when I still worked as a communications manager, I spent 3 hours travelling each day. First I had a 30-minute walk to the station. Then I had a 45-minute train ride into the centre of London and then a 15-minute walk to work. In the evening, I repeated the journey in reverse. That was a lot of time out of my day but it’s not unusual for people who live in and around London. In the end, I decided I didn’t want to do it any more but while I was doing it, I wanted to make the best of the time that I had. Sometimes it feels as though we can’t fit anything else into our already busy lives. That’s why it’s good to make use of periods of time that are already built into our schedule but when we may have capacity to do other things. I often used the time for listening to podcasts. I don’t like listening to things when I’m walking, but I had 90 minutes each day in which I could learn. As I’m used to absorbing audio information at high speed, I play most podcasts at double speed, so that’s a lot of information. I can’t do this for Turkish podcasts because I really need to focus on the language, but it’s fine for English and German material. I have to say that I don’t miss my commute – particularly when the weather is bad or when I hear of delays and strikes. 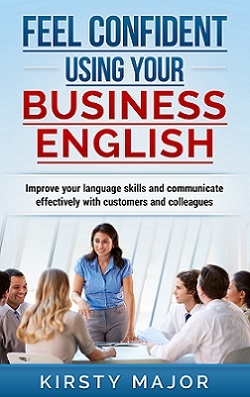 Still, many of my customers spend time commuting each day and I’ve gathered together some of their ideas on how they use this time to develop their English. I’ve already mentioned these but they are a great way to work on your listening skills. You can either listen to podcasts that are specifically created for language learners, or you can find podcasts in English about your interests. You’re more likely to listen to the content if the subject interests you. There are also podcasts about the news. Listening to these can be helpful because you may already be familiar with some of the stories. One of my students listens to podcasts in her car on the way to work. She’s found one podcaster who creates episodes that are about the same length as her journey to work, so she can listen to one episode per journey. Of course this would also work if you’re on the bus, train, cycling or walking (although I don’t like to cut myself off from the world around me when I’m walking). This isn’t an option if you’re driving to work but it would be fine if you’re on the bus or the train. Whether you’re reading a physical book or downloading books onto a tablet device, you can have concentrated time to read. One of my students reads English books on her Kindle on the way to work. She says that it’s useful because she can make use of the in-built dictionary if she doesn’t know a word. Another of my students has the Quizlet and Vocabulary trainer for GDocs apps on her phone and she uses them to test herself on vocabulary when she’s out and about. Again this is not something you can use if you’re in the car or on a bike but it is fine for bus or train journeys. There are plenty of other apps for vocabulary learning, so you can shop around to see which ones you like and which ones enable you to learn effectively. Many of us check our Facebook or Twitter feeds throughout the day. If you build English content into your newsfeed, it will be delivered to you along with all the other updates and content on your timeline. So, if you use your journey to work for checking these apps, you could also make sure that you’ll see some articles in English. These can be downloaded onto your phone or mp3 player and they are easily obtainable through places such as Audible or iTunes. Also, some libraries have a supply of audio books that can be borrowed. I listen to audio books all the time when I’m doing other things such as travelling, doing housework or working out. When I’m travelling, I just have to make sure that I don’t get so engrossed in my book that I miss my stop! Even when you’re really motivated, it’s sometimes hard to give as much time to language learning as you would want. I hope this article has given you some ideas about how you can build language learning into your day! By the way, I have also made a podcast based on this article. If you would like to hear it, you can go to episode 2 of my podcast. You are absolutely right in all that you’ve written, and to learn anything new, you need to devote time. More so, if it’s learning language, the more time you can devote to it, the better you become. I loved the ideas you mentioned. Podcasts are the best options for those people who are busy, and I prefer listening to them myself, either when I am cooking, doing the chores at home, and even when I go for my morning walks. Kindle is a good option, though books have their own charm. Haven’t tried any audio books as yet, though I need to. Wish I had the time to read though – I miss out on it due to lack of time. Apps on the social media networks is a good idea, and so is practicing vocabulary – nothing works better than practicing to make yourself perfect, isn’t it? Hi Harleena and thanks for stopping by my blog. I’m a big fan of podcasts too and I’m thinking of starting one for English with Kirsty. You are right that we need to invest time and energy in anything that we want to learn, particularly languages. There are ways to optimise the learning process but there is no quick solution that takes away the need to put in the hard work! That was a really long commute, I can see why you don’t miss it. If I were to spend that much time getting to work I would also feel like there could be a better use of my time. For those who do have a lengthy commute learning is a good way to break the mundane. It reminds me of when people used to listen to books on tape in the car. It sounds a little crazy but it is a good way to spend the time. Whenever I go to the gym or even exercise at home I listen to audio books or lessons. You have to find the time when you’re schedule it tight. That’s not uncommon in London but a commute like that does become a pain after a while! The walking part was good for keeping fit but problems with the trains sometimes meant that the journey took even longer! That’s why I needed coffee and something good to listen to or read! I listen to audio material when I’m exercising too. It’s good to have something on which to focus your mind while you are doing physical exercise. If I didn’t do that, I would get bored and it’s good to multi-task! Landing on your site for the first time. Ya, it is really important to utilize our commute time. Spending 3 hours every day on travelling is both learning and tiring experience, isn’t? Now, you are devoting your time on your business. I have also seen people trying different things. Some people prefer reading newspapers. Some are busy dissolve themselves in listening to the music. I prefer reading pdf books while traveling. I haven’t tried audio books. I try to stay away from facebook and other social media profiles. Y, we can build English content into our news feed. But, I like to read articles on Feedly. We can categorize the content according to our needs. Thanks for sharing these learning ideas. I hadn’t even thought of newspapers – either physical ones or the news content that is published on the newspaper’s website. PDF books are a good idea too and whether fiction or non-fiction, if people find books on subjects which interest them, they are more likely to read them. This is why I try to find out about my students’ interest. I want to suggest extra resources about which they will be keen to learn new information at the same time as learning new English vocabulary. I haven’t heard of Feedly – thanks for the tip. Hey Kirsty! Wow, these are all great tips to utilize a commute! It makes me want to delve deeper into French. Holy Moley – you listen to podcasts at 2x speed? I never would have even thought to do that! You sound like a very productive person :) I can see why you are a successful business woman. I’m blind so I’m used to listening to the screenreading software on my laptop or my phone reading information at speed. I set it that way because it means I can read information faster. I’ve been doing it for so long now that it doesn’t seem that fast. I wouldn’t recommend it for language learning but if you’re listening to something in your own language, it’s doable with practice. Wow! this is an interesting post. You are right. Time is precious and what you do with your time does matter. I love your ideas as it considers some factors which most people would ignore. If I read this correctly, you said you read at 2x speed. Now I have buddies that are blind but I have never seen such an awesome skill. Thanks for sharing this post. Have a nice week.